Notice! 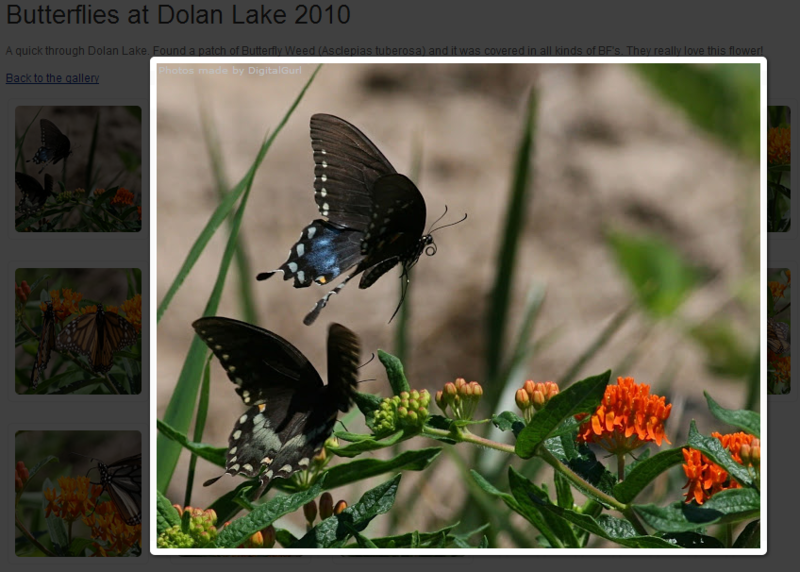 Google Picasa is no longer supported by Google. 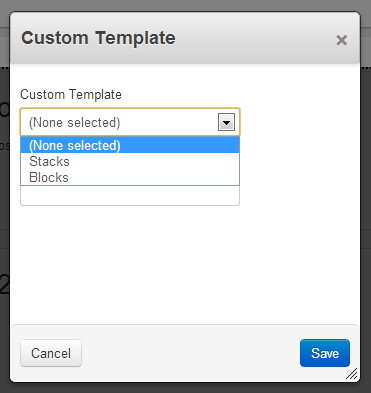 This addon only works with existing Google Picasa Albums, newly created albums will not be available in this addon! 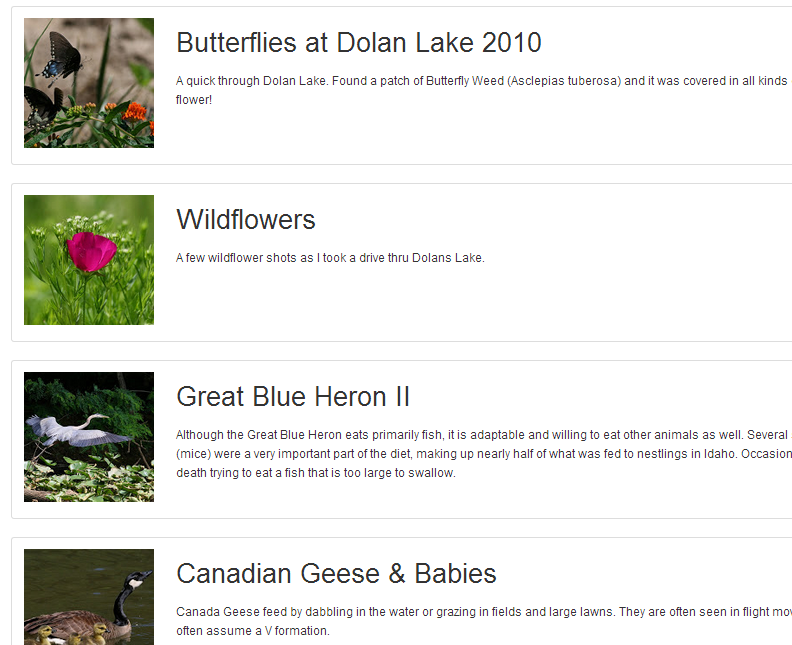 This addon shows your public Google Picasa Webalbums within your Concrete5 website. 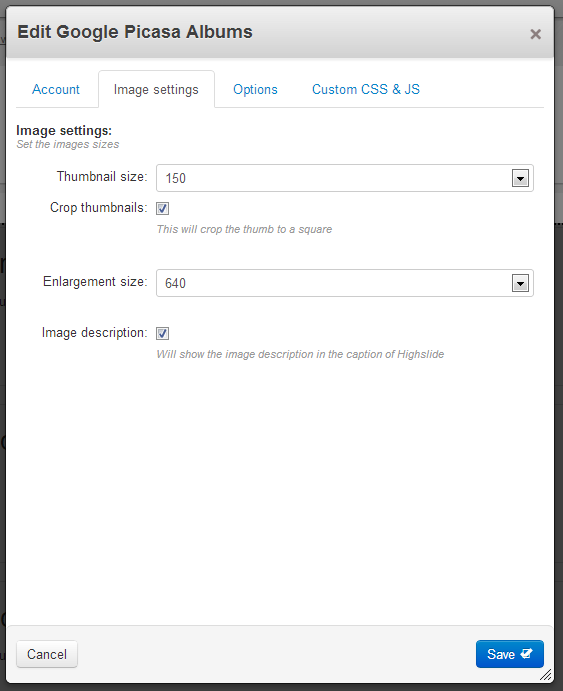 Images in the album will be enlarged with Higslide JS. Easy to use! 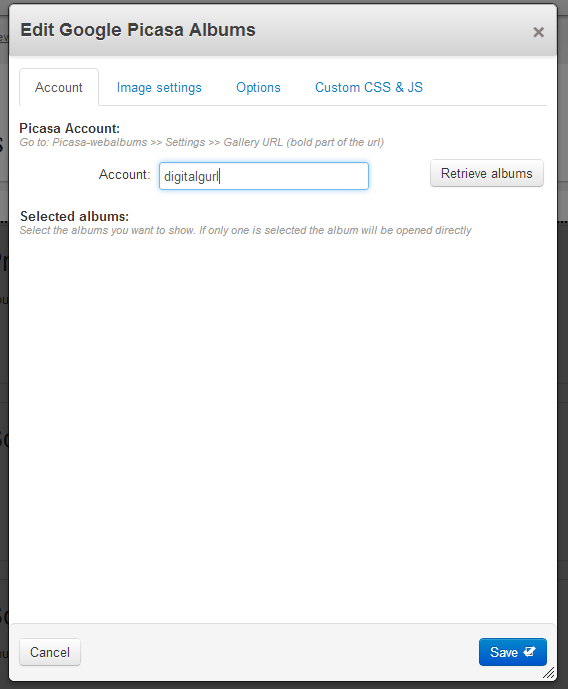 Just enter your Google Picasa Webalbum account and the public albums will be loaded automatically. For the demo on this website we used the account of DigitalGurl (click to show the actual Webalbum). 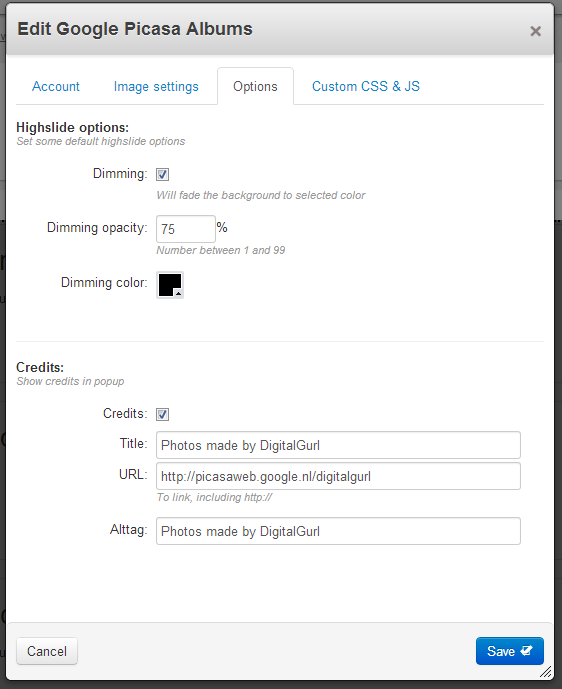 The account information needed for this addon can be found in the settings of your Google Picasa Webalbum. 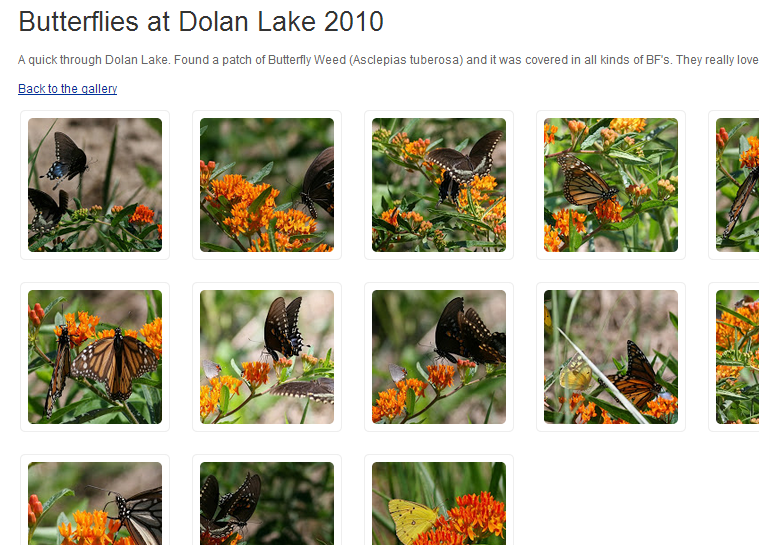 You can add your Google Picasa Webalbum account, change thumbnail sizes, show image descriptions. Description of the album will show above each album when viewing it. 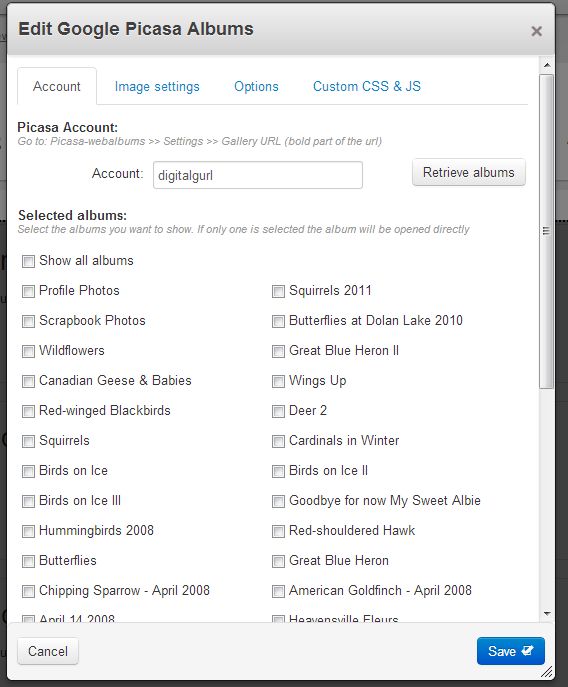 Update 1.4 enables you to select one or multiple albums! 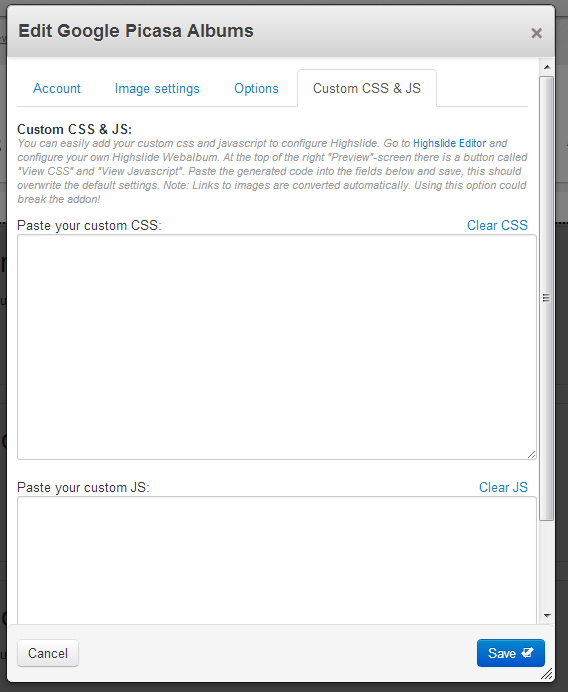 The unlimited commercial license of Highslide JS is included in the package. So this add-on may be used for commercial and non-commercial purposes.